Democrats, progressives, and even some reform-minded conservatives have slammed President Trump's new budget as a cruel, math-challenged non-starter. But that doesn't mean they can't praise the odd, non-terrible, non-embarrassing parts. For instance: Trump is the first Republican president to offer a national paid leave plan, a result of daughter Ivanka's insistence. Now, no one is going to accuse the president of mindlessly or gleefully copying what other advanced economies do for families. In Sweden, for example, parents get up to 16 months of paid leave, with moms and dads each required to take at least three months off. The Trump proposal is far more modest. With a price tag of $25 billion over a decade, Trump's plan gives moms and dads six weeks of paid leave after the birth or adoption of a child. The program would funnel the benefits to about 1.3 million parents annually through the unemployment insurance system. While this is vastly more generous than the zero weeks of paid leave American moms and dads get under current law, it's still not some lavish universal system. Actually, it's so skimpy, say paid leave advocates, that it is barely better than nothing. And yet ... how could the left not be secretly thrilled? Even if Trump's bare-bones plan doesn't become law, it sets a sort of precedent for Republicans supporting paid leave. And should the plan pass Congress and get signed by Trump, it establishes a program that future Democratic presidents and lawmakers can expand. But how much thought has been given to the inescapable tradeoffs from establishing a national paid leave plan? Certainly Trump's Council of Economic Advisers haven't offered any insights to Ivanka or her dad, because the CEA positions have yet to be filled. But if they were, the economists there would probably tell Team Trump plenty of things they don't want to hear about this big idea. You see, conservative economics isn't really about balancing budgets or cutting taxes or deregulation. It's more about acknowledging policy tradeoffs. Even the best ideas have downsides, and it's up to policymakers to deal with them. Paid leave is no different. A 2017 study, by UC Santa Barbara economist Jenna Stearns, of maternity leave policy in Great Britain found that access increases the probability of women returning to work, while job protection benefits result in higher overall maternal employment rates and longer job tenure. Sounds good! But there's a tradeoff: Expanding job protected leave benefits led to "fewer women holding management positions and other jobs with the potential for promotion." Likewise, a 2013 study by Cornell University's Francine Blau and Lawrence Kahn found family-friendly policies indeed make it easier to balance work and family. But they also "leave women less likely to be considered for high-level positions. 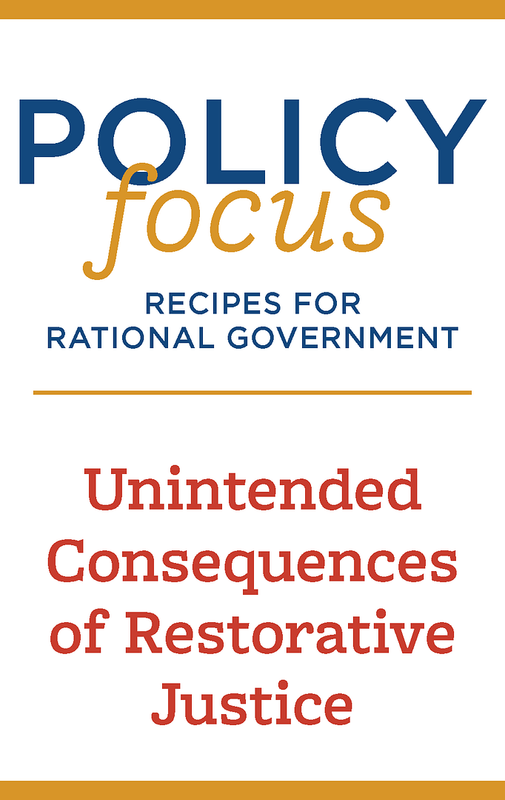 One's evaluation of such policies must take both of these effects into account." Few economists would be surprised at these analyses. In a classic 1983 paper on mandated benefits like paid leave, former Obama economist Lawrence Summers explained businesses would offset higher benefits with lower pay or hiring workers with lower potential benefit costs. You know, tradeoffs. Paid parental leave obviously has real upsides. But we can't ignore the downsides either: Lower pay, stingier promotions, and a potential employer favoritism toward the childless. The key question is this: How can we provide parental leave in a way that minimizes such trade-offs and avoids creating a politically driven, one-size-fits-all policy that blankets America's huge and diverse labor market? One idea is to create personal savings accounts to deposit pre-tax dollars to replace or supplement income under the existing Family and Medical Leave Act (which gives up to 12 weeks of unpaid leave). Government could contribute funds for lower-income Americans or lend funds to richer folks if significant savings haven't yet accumulated. This approach would let workers express their preference, for instance, on how to value current wages versus future benefits. If the Trumps are going to push the GOP toward paid leave, this may be a better policy approach — and even one the Paul Ryan Republicans on Capitol Hill might embrace.